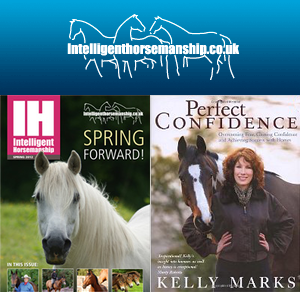 Congratulations to Elizabeth Wright from Driffield, who was the lucky winner of our April competition to win a year's membership to Intelligent Horsemanship and a signed copy of Perfect Confidence. Intelligent Horsemanship was founded by former professional jockey, Kelly Marks. The purpose being to help horse owners understand and respect their horses. Kelly's mentor, Monty Roberts supports IH and graces us with his experience, skill and wisdom with the human to horse relationship. Private Audience invitation (at Monty Roberts demonstrations). A member can bring up to two guests into the Private Audience! Access to student equine science research projects.